This is the most fascinating moment in the last several years of my work on ‘The Human, Earth Project’. There are really exciting things now happening behind the scenes; some I’ve spoken about previously, and some I’ve only hinted at. Five years ago, when it began, this project was nothing more than myself, an idea, and a driving passion. It has now reached a point where even I don’t know how many people are working on it. Right now, I’d estimate it’s over 30 people in 8 or 10 different countries. If you include all the people who have worked on the project over the past year, that number more than doubles. I’ve never met most of those people, though I’d love to. Some of those people have given a little of their time, and some have given a lot. Many have been paid. Many more, however, have taken part because they sincerely believe in me and my work – and that’s incredible. I had a particularly horrible experience last year, and the lesson it tried to teach me was an ugly one: Don’t believe in people. I’ve been determined not to be defined by my negative experiences – and so, as challenging as it has been, I’ve pushed hard in the opposite direction. When we believe in each other, it brings out the best in us. I’m no longer pulling all the strings, trying to keep a dozen different balls in the air. People have started bringing their own people to the project, many of whom I’ve never met or even interacted with. 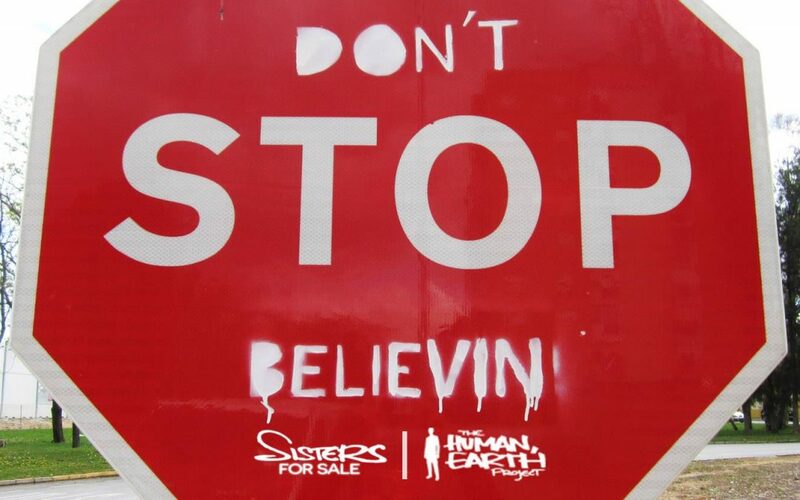 Will and Joh, in Finland, have brought in other musicians to finish the ‘Sisters For Sale’ score. Curtis is managing a sound production team in California (I haven’t introduced you yet!). Suzie, in Alaska, is a long-time supporter who has been wonderful at bringing the right connections at the right times. Recently, the most incredible story has been that of Yuqing Zhang. 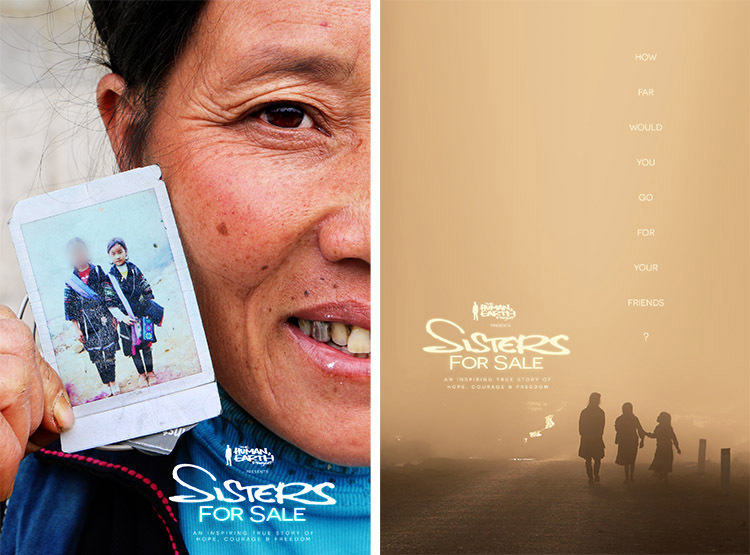 Passionate about human rights, Yuqing was determined to translate ‘Sisters For Sale’ into her native Chinese. In a single hour on Chinese social media, Yuqing rallied a group of 15 other translators to the cause. Most have done their Master’s degrees in the UK, while others are studying English Literature. I’ve never spoken to these people, and don’t even know their names, but am deeply grateful to them. Yuqing has been phenomenal at organising the entire process of translating and editing, from start to finish. Translating the documentary has been an enormous job, and I want to give a special thank-you also to those who have been making the final corrections to our French, German, and Spanish translations: Elisabeth De Sa Barbaro, Astrid Hofer, and Laura Rodriguez Jarillo. You’ve been amazing! I want to give a huge shout-out to Melissa Adams, Katie Carriero, and Astrid Hofer – for the sake of simplicity, I refer to these three as our “promotion team”, but they’ve been much more than that. Over the past three months, Melissa, Katie, and Astrid have not only been managing our Facebook, Instagram, and Twitter. Their research, experimentation, and analysis has gone beyond social media to our website, and to legal and structural aspects of the project. More than that, I feel that these women have transformed the very atmosphere of the project. Until now, people have joined this project for very specific tasks, on very limited timeframes, and there has always been a transitory feel to these collaborations. With Melissa, Katie, and Astrid, I have a real sense of teamwork, of decisions being made both as a group, and autonomously. They’ve become part of the evolution of the project, and have now begun leading it in new directions. For the first time, I feel the project has begun developing its own organisational culture, and it’s been a very positive and supporting one. The fact that all three are women has also added a strong female element to the project I felt was missing. Claire Harris has brought a thoughtful, intelligent voice to the ‘Sisters For Sale’ podcast, which is now underway in Scotland, and I’m really excited to hear the outcome. I’d like to thank Michelle Imison for her recent assistance with the opening chapters of the ‘Sisters For Sale’ book. Writing the book has already been an exciting, challenging, and surprisingly emotional process, and it’s only just getting started! Many of you have written to say that you’ve been inspired by my work. These are some of the people who inspire and bring out the best in me. These are ones who remind me that there are still plenty of good people out there, and that beautiful things can happen. I want to thank you all – I couldn’t and wouldn’t have come so far without you! The more people we have, the easier our work becomes, and the more we can achieve. If you’d like to join our team, share your thoughts, or to help with the Vietnamese and Hmong translations of the documentary, email me at thehumanearthproject@gmail.com. This Saturday 5th May, our new poster competition will end. Take a moment to test your music knowledge and win the first-ever print of your favourite new poster design – details here! Subscribe here to receive all the news from ‘The Human, Earth Project’.